We are pleased to learn that Mr J.L. Davies, at one time a cadet in the Geraldine Post Office, has made good progress in the Department since he left here some months ago. He is at present at Chatham Islands assisting in the construction of the wireless station. When the station is completed Mr Davies is to be given charge of it for twelve months, and anticipates putting in a very pleasant time indeed as the Island is very much to his liking. 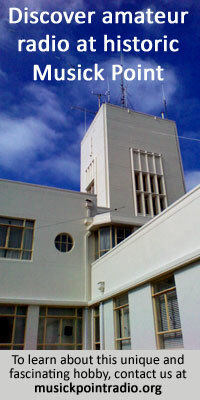 Mr Davies left of the [sic] new Auckland wireless station, and was there until the beginning of March, when the Department sent him over to Sydney for two months to conduct wireless tests between that station and the new high-power station at Awanui.